The multiple award-winner: The 2016/17 #CarsAwards category-winning Volkswagen Tiguan is a fantastic piece of kit with a gem of an engine, but you will need to fork out a bit extra to be able to match the Honda in terms of spec. It's particularly good looking too, provided you specify the R-Line body kit. 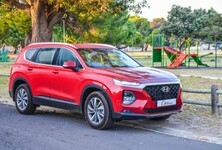 Korean top-seller: A popular model in the segment is the Hyundai Tucson 1.6 Turbo 4WD Elite and it's easy to see why it sells so well. A good powertrain combines well with excellent on-road manners – and don't forget about Hyundai's benchmark 7-year mechanical warranty. Good value for money: Recently-upgraded Ford Kuga is the most affordable car in this group, but its chances may suffer because of #Kugagate fallout. Turbodiesel option: You can get an all-wheel-drive Toyota RAV4 in this price bracket and we're impressed with its refinement and practicality. However, it's a turbodiesel. 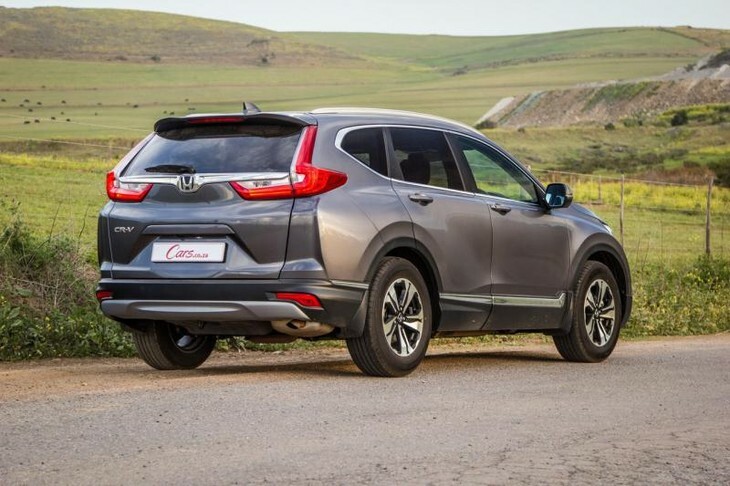 We believe it is highly unlikely that when Honda launched its first CR-V family car/compact SUV back in 1995, the Japanese brand anticipated how successful the model would become. Back then SUVs weren't all the rage and Honda had a reputation for making smaller passenger cars such as the Civic, not mud-pluggers. But, as most of us know all too well, the market suddenly shifted and SUVs have become extremely popular. 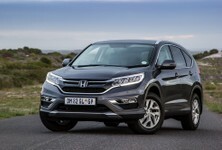 Suffice to say Honda's CR-V is one of the established players in the segment and has a terrific reputation for excellent packaging and practicality while offering superb ride refinement. However, the vehicle market moves quickly these days; model lifecycles are shorter to ensure a fast throughput of newer, better products. 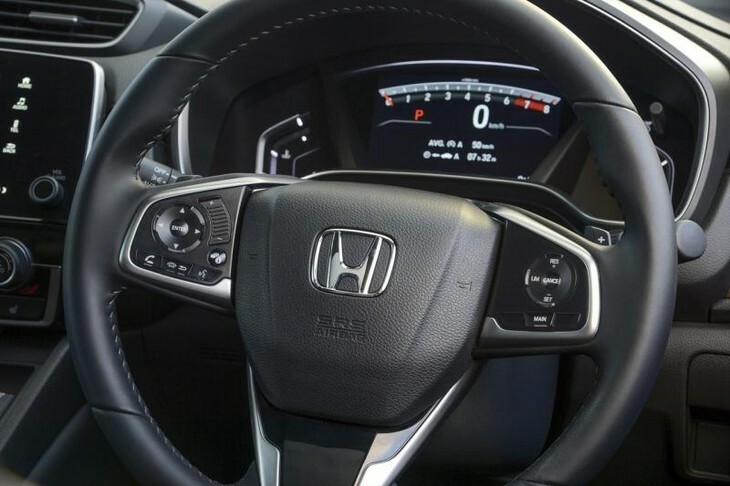 Honda recently adopted turbocharged petrol powertrains, whereas its competitors have been on that bandwagon for some time already. However, engine technology is just one small aspect of the overall package, and the CR-V has many talents. This is where the Honda CR-V really shines. 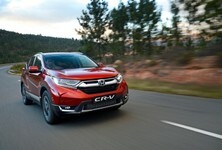 In a feat of engineering, the Japanese firm has ensured that while the new CR-V is physically smaller than the previous generation model, the family car's interior space is fractionally bigger. 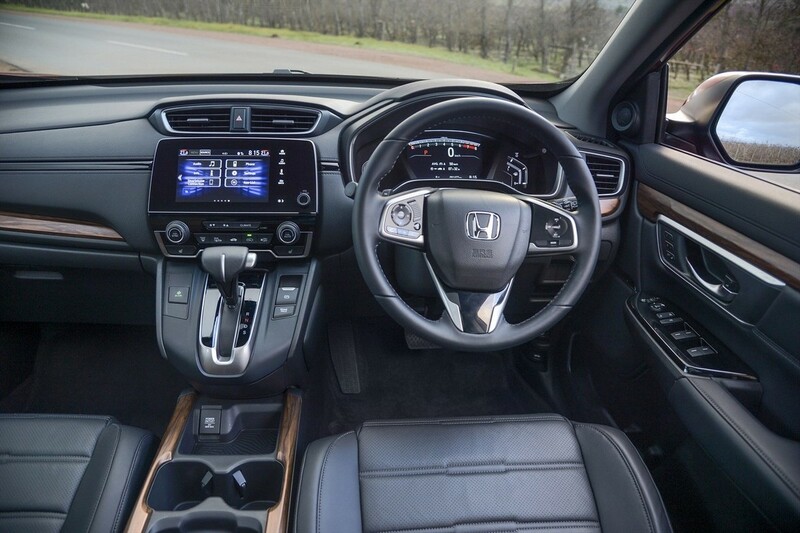 Honda SA claims there's a 90 mm increase in second-row legroom, while shoulder room grows both front and rear. The luggage bay is bigger too at (a claimed) 522 litres, with 1 084 litres available if you fold the seats flat, and we mean properly flat. It's not a bad-looking vehicle either, with trademark Honda cues all around. 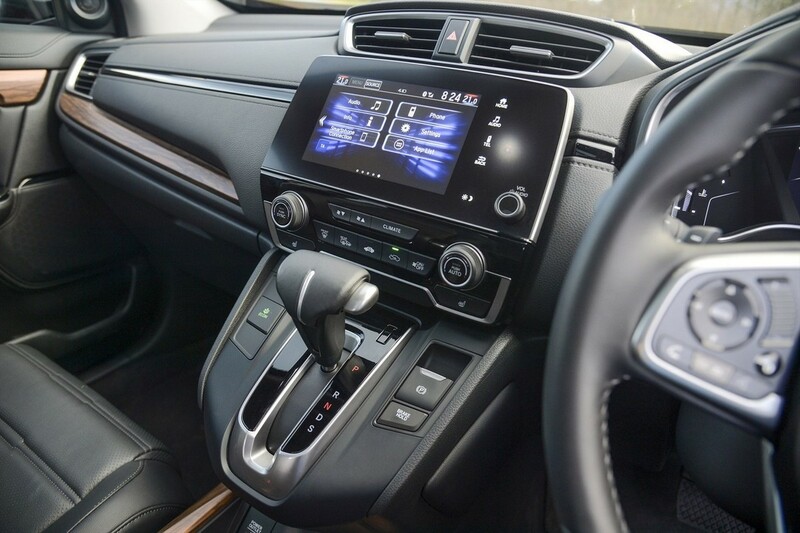 The frontal view is imposing thanks to enlarged LED lights, but once you step inside the cabin it becomes abundantly clear that Honda has put in a real effort when it comes to design and ergonomics. There's a huge emphasis on comfort and ease of use, and while there's initial hesitation for certain buttons, it quickly becomes second nature. Our test unit was the second-from-top Executive CVT, which comes with a generous helping of standard features. These luxury mod-cons include leather upholstery, an Apple CarPlay/Android Auto-compatible 7-inch touchscreen infotainment system, enhanced audio setup, 2 USB ports (for front and rear passengers), an 8-way electrically adjustable driver's seat, 4-way adjustable front passenger seat with front seat heating as standard. Front and rear parking sensors are offered as well as a heating function for the electric side mirrors, automatic windscreen wipers and there's a leather-trimmed steering wheel too. 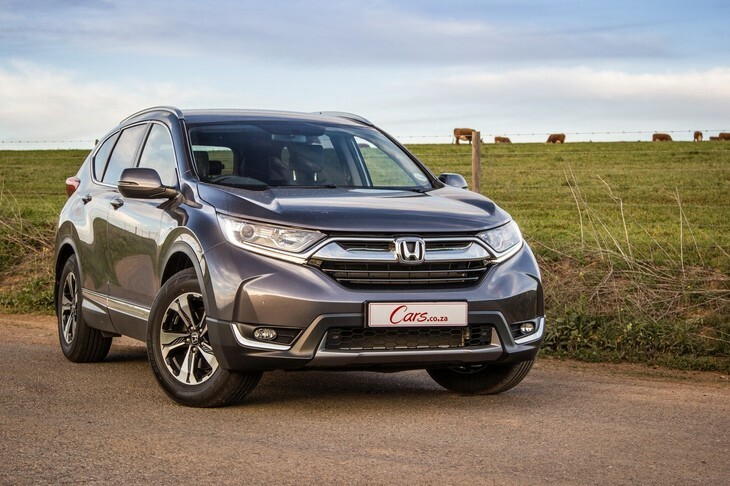 Given the CR-V's family car packaging, its safety specification is particularly important and, to that end, 6 airbags, ABS with EBD, Agile Handling Assist (AHA), Vehicle Stability Assist (VSA), Hill Start Assist (HSA), Driver Attention Monitor and ISOfix child seat mounting points are provided. 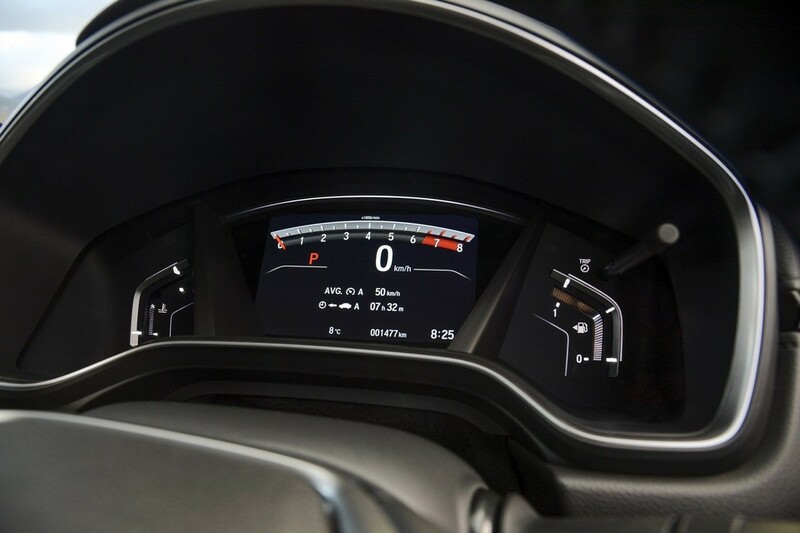 If you feel you'll need more in the way of autonomous safety systems, then best you look to the Exclusive model, which features a Collision Mitigation Braking with Forward Collision Warning, Road Departure Mitigation with Lane Departure Warning, Adaptive Cruise Control with Low-Speed Following and Lane Keeping Assist. For the first time ever, a turbocharged petrol engine makes its way into the CR-V. It's the same powerplant as that found in the Honda Civic and the motor's outputs are credible. 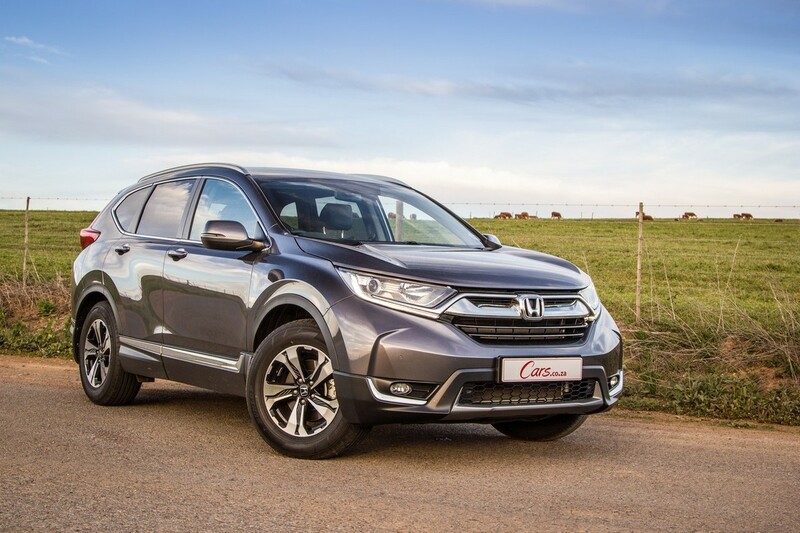 With peak outputs of 140 kW and 240 Nm from a 1.5-litre turbocharged petrol engine, the Honda CR-V offers adequate performance... at least it seems so "on paper". In reality, however, it's a different story as the power delivery is not all that convincing. Sure, you can cruise along nicely at the speed limit and enjoy the (supple) ride, but when it comes to overtaking slower traffic on the national highway, things go a little awry. In terms of efficiency, Honda claims a fair 7.0 L/100 km, but in reality, the vehicle consumes a fair bit more than that. 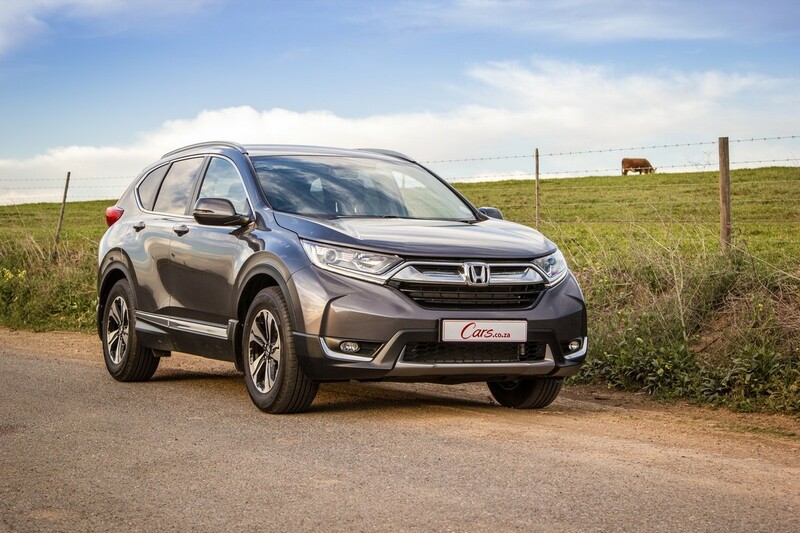 Perhaps it was the middling torque output of the engine combined with the CR-V's not insubstantial kerb weight (of around 1 600 kg), or the fact that our test week was characterised by dense traffic conditions, but we couldn't get the Honda's consumption to slip under 9.0 L/100 km. The new CR-V's boasts an all-new suspension setup that is claimed to deliver excellent ride quality. Does it deliver? Absolutely. 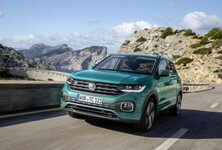 While we're not enthusiastic about the 1.5T's in-gear shove (or lack thereof), we're quite happy to cruise along and feel the CR-V soak up each and every little rut in the road, the latter of which will be more (if not most) important for the overwhelming majority of family car buyers. It's a resoundingly solid car to drive and the lack of road noise, thanks to excellent insulation, is also commendable. This vehicle features all-wheel drive on demand, which sends power to the rear axle if conditions deteriorate. While we didn't take our test unit onto any 4x4 tracks, we felt that the system was perfect for keeping things stable on gravel or on really wet roads. 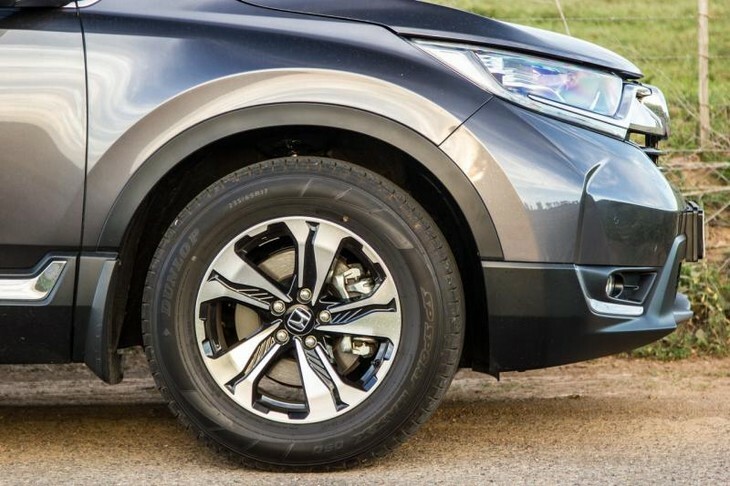 The CVT, meanwhile, may blunt driver engagement, but it works well in an urban environment in combination with an accurate 'wheel to deliver a relaxed drive. The 1.5T Executive CVT AWD derivative retails for R584 900, which includes a 5-year/200 000 km warranty, 5-year/90 000 km service plan and 3-year AA Roadside Assistance. Service intervals are set at 15 000 km for 2.0-litre derivatives and 10 000 km for 1.5-litre derivatives. The Honda CR-V does have its drawbacks, the big one being lethargy in cut-and-thrust driving conditions, but the positives far outweigh the negatives. 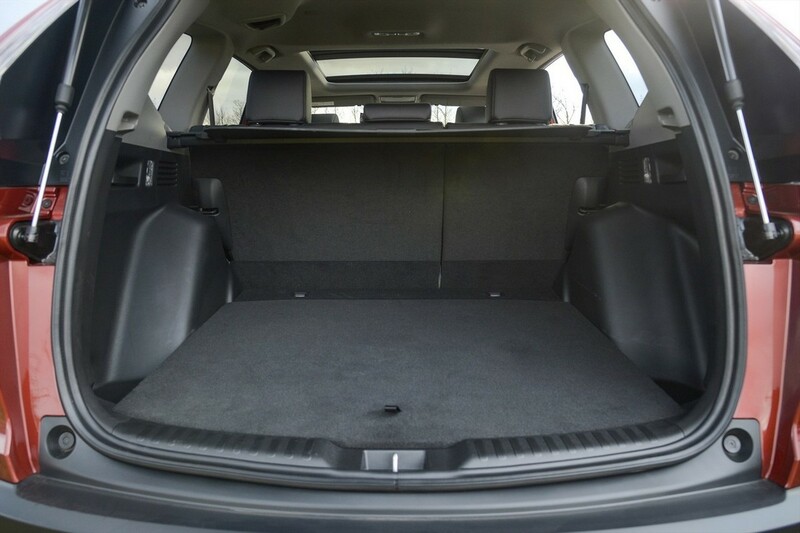 It's a superbly-made product, drives with exceptionally polite manners and the spaciousness/practicality mean you can easily load it up for a family breakaway. Honda was in danger of losing its unofficial most-built-to-last tag because some of its recent products felt made to cost. We know cost-cutting is the norm, but not at the expense of hurting your brand image. 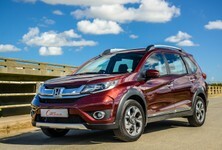 However, this new CR-V rights many of the wrongs. It's a spectacular return to form and an excellent proposition in the family car market. Admittedly you are paying for this privilege as it's one of the more expensive offerings in its class, but if you're willing to fork out extra, it's well worth it. 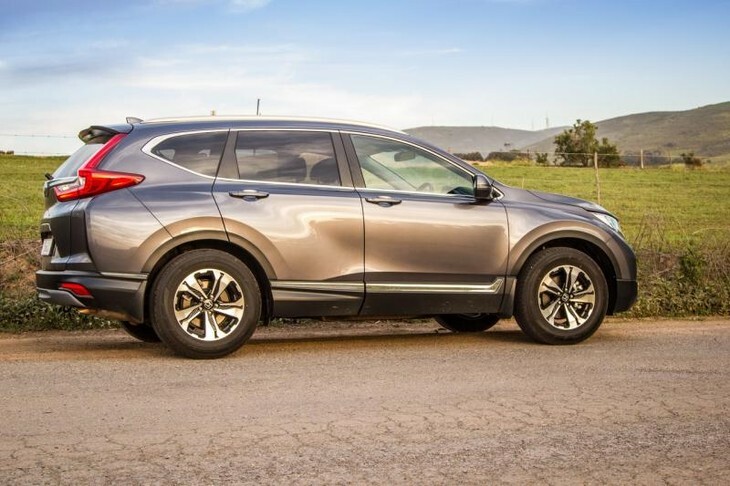 Want to buy a Honda CR-V?